NOTE: MAS is the official home of the Beeswax Wreck Project. The version of the site at naga-group is out of date; we are working with the site host to get it removed/redirected. Thank you for your patience. Composite photograph. Dr. Curt Peterson studying exposed stratigraphy providing evidence of two tsunami events on the Nehalem Spit. What is the Beeswax Wreck? One of the most popular mysteries of the Oregon Coast has been the identification of the “Beeswax Wreck” at Nehalem Beach, in Tillamook County. Identified over time by various researchers as either a Chinese or Japanese junk, a Spanish galleon, a Portuguese trader, or a lost English or Dutch pirate vessel, we have been able to determine that the ship was in fact a Spanish Galleon of the Manila Trade. 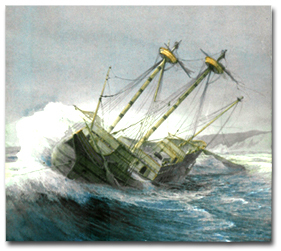 Nehalem Indian oral histories and the journals of the earliest traders in the area indicate that the galleon wrecked prior to European settlement and indeed most European exploration of the Pacific Northwest. The site has been buried for the last 100 years. However, blocks of beeswax are occasionally found by beachcombers in the sand dunes adjacent to the site. Archaeologists have recovered assemblages of Chinese porcelain sherds from nearby archaeological sites, including some which were modified into projectile points by the local Nehalem Indians, and eroded out out of marine deposits. 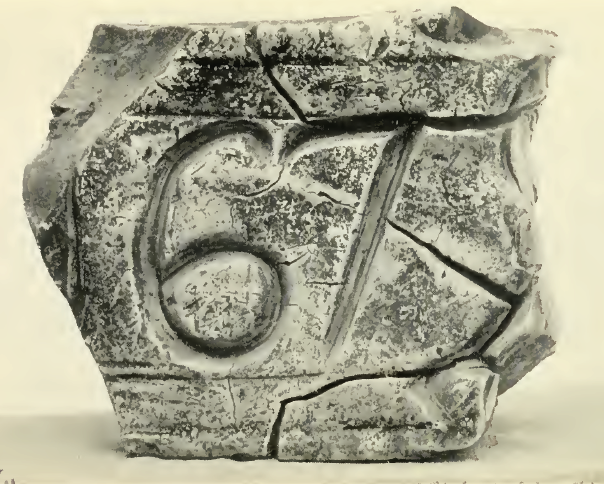 These sherds display design motifs indicating they were manufactured in China in the late 17th Century, and were intended for export to the European market. Analysis of the design motifs indicates the majority of the porcelain was manufactured sometime between 1680 and 1700 AD. 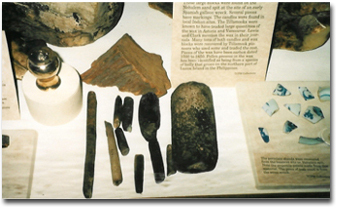 Radiocarbon samples from wood known to be associated with the wrecked vessel and beeswax blocks that were part of her cargo have also been dated, and, while not as precise as the ceramic dates, they also indicate the vessel is from the period of the Spanish Manila Trade.